Good Tuesday morning Junkies! I've got a couple of ATCs to share with you today, using some of my favorite Technique Junkies stamps. Gotta love those kitty cats! 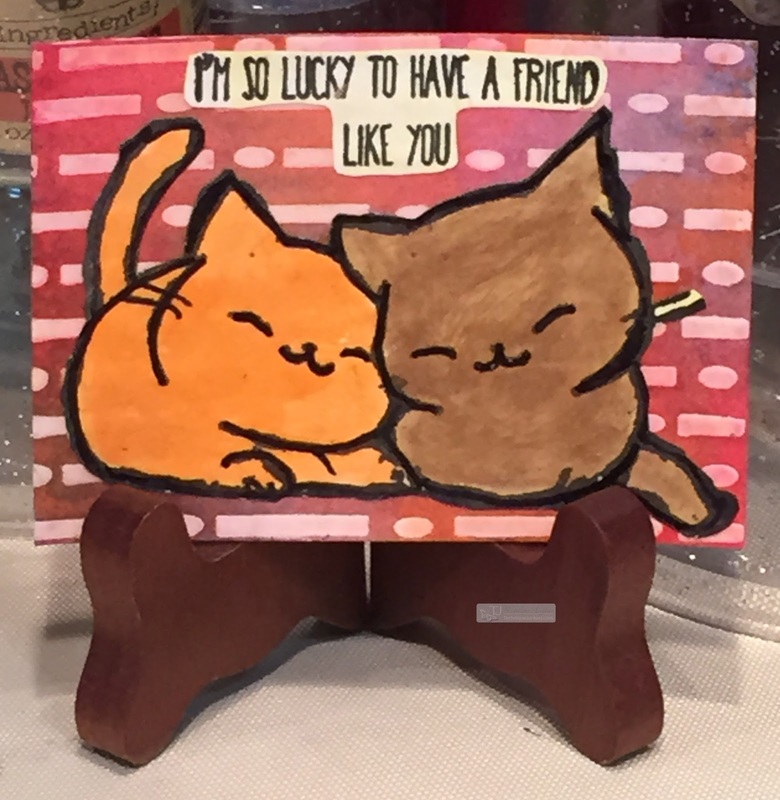 So Lucky was created using the Gel Medium Resist technique. I used Art Anthology Colorations in Plush, Patience, and Juicy along with their Morse Code stencil. 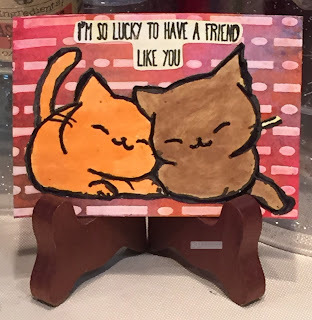 I stamped one of the new June releases, Friend Like You, onto a piece of card, cut it out and separating the sentiment, and then colored it in with Art Anthology Tango and Kona Velvet. 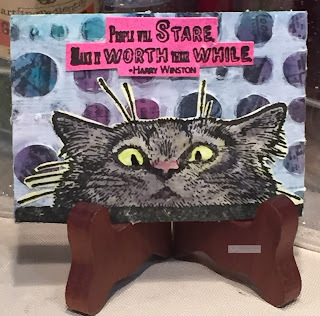 I positioned the trimmed sentiment directly above the kitties. Stare was created using the Colorful Resist technique. I used Art Anthology Colorations in Wild Orchid, Peacock Feathers, and Grass along with their Bubbles stencil and the Paid in Full & Plaster Swirls stamps . I stamped Kitty Watching, cut him out, then colored his fur with Art Anthology Ash Velvet and his eyes with Limeade Velvet. The sentiment People Will Stare (small) was stamped onto a piece of previously colored watercolor paper I had laying around. These and other wonderful stamps are located on the Technique Junkies website.